Florida [USA], Jan 1 (ANI): American tennis star Venus Williams outlasted Belarusian player Victoria Azarenka in a thrilling first-round match at the ASB Classic in Auckland on Tuesday. Florida [United States of America], August 30 (ANI): American Tennis star Serena Williams, who will be taking on her sister Venus Williams in the third round of the ongoing US Open, has admitted that the match is going to be "very tough" for her. Paris [France], Jun 4 (ANI): The American tennis stars, Serena Williams and Venus Williams were dumped out from the women's doubles event after they lost the deciding set to Slovenia's Andreja Klepac and Maria Jose Martinez Sanchez of Italy in the French Open here on Sunday. Paris [France], June 1 (ANI): Former world number one and Serbian tennis star Novak Djokovic will meet his toughest opponent in the ongoing French Open so far when he takes on 13th seed Roberto Bautista Agut in the last-32 clash of the men's singles event here on Friday. Paris [France], May 31 (ANI): American tennis ace players Serena and Venus Williams staged a stunning comeback to win their first Grand Slam doubles match after almost two years, and advancing to the second round of the French Open here on Wednesday. Paris [France], May 28 (ANI): Defending champion Jelena Ostapenko and American tennis star Venus Williams crashed out of the French Open in the first round itself, here on Sunday. 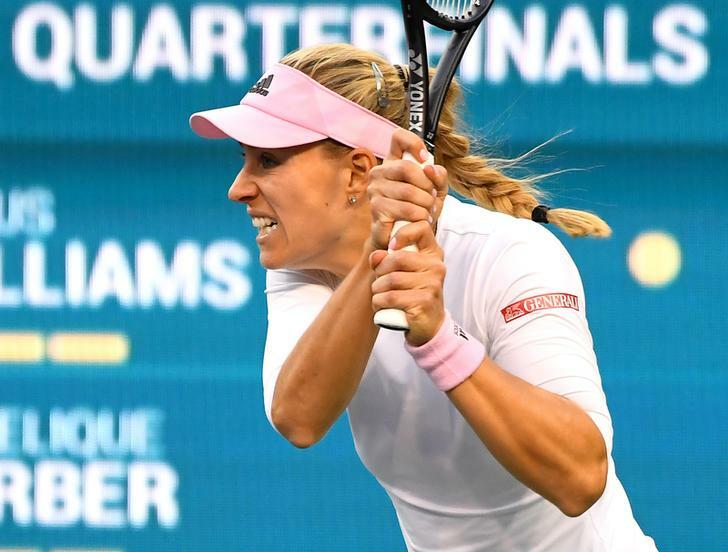 Florida [U.S.A], March 29 (ANI): American tennis star Venus Williams suffered a major blow as she crashed out of Miami Masters after slumping to a shocking straight-sets defeat at the hands of qualifier Danielle Collins in the quarter-finals here on Thursday. Florida [U.S.A], March 27 (ANI): American tennis star Venus Williams booked her place in the quarter-finals of the Miami Masters after battling past last year's winner Johanna Konta of Australia in a three-set thriller here on Tuesday. Florida [U.S.A], March 24 (ANI): American tennis star Venus Williams battled from behind in both sets against Russia's Natalia Vikhlyantseva to book her place in the third round of the Miami Open here on Saturday.